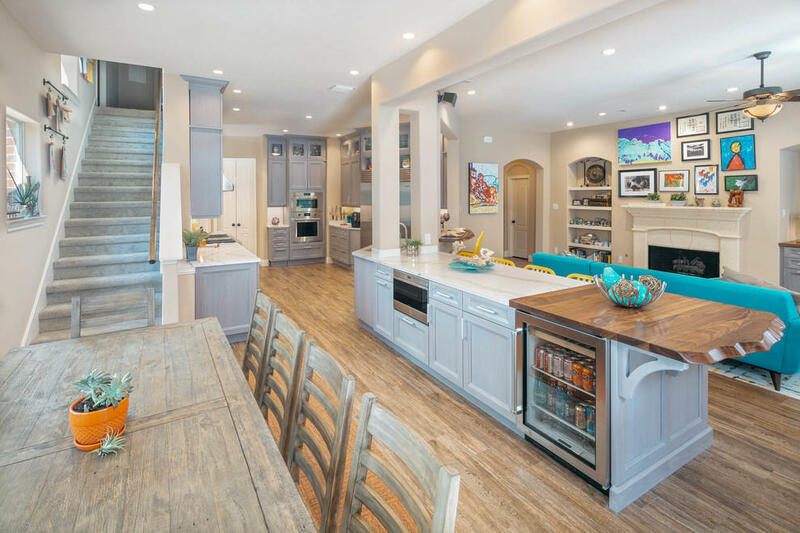 We removed three walls to open this kitchen up to the great room and breakfast area so the family and guests could visit while meals are being prepared. 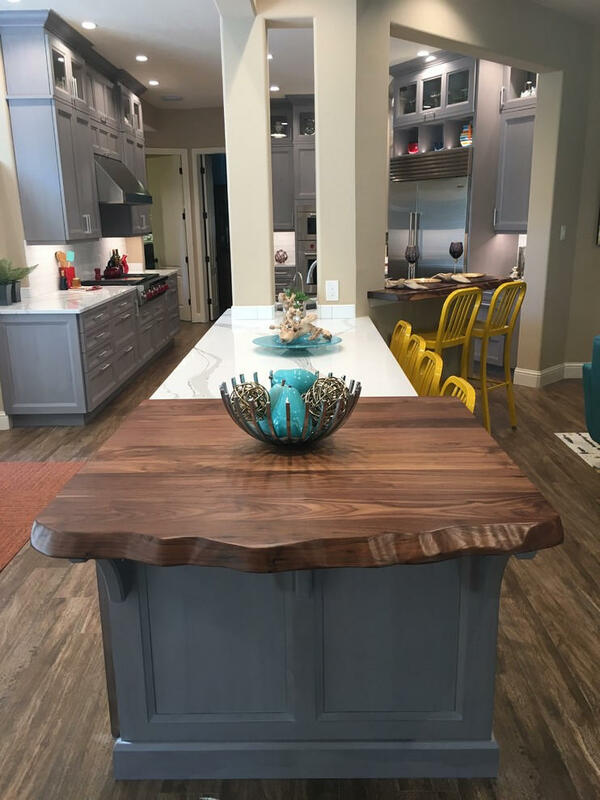 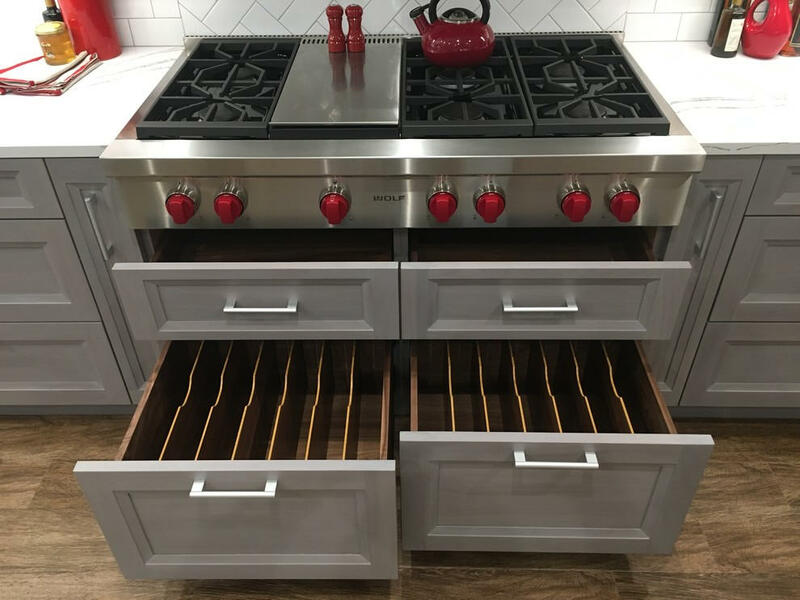 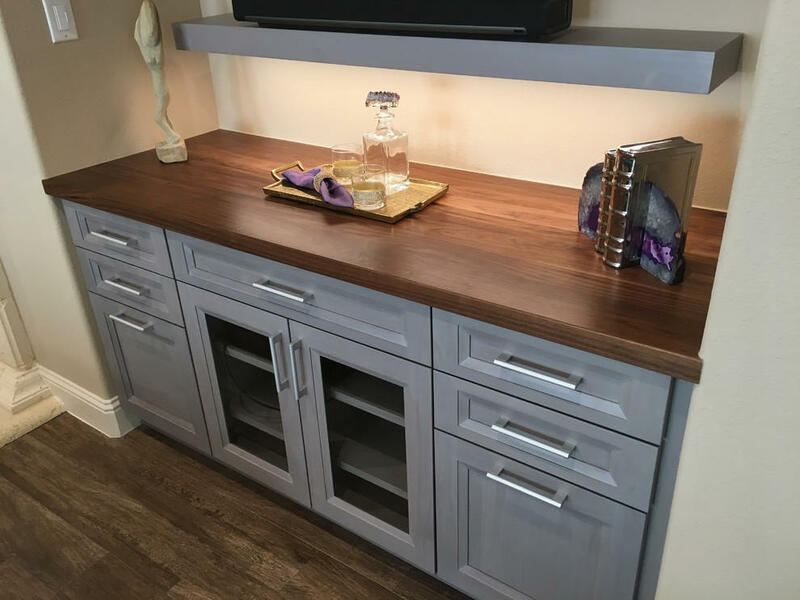 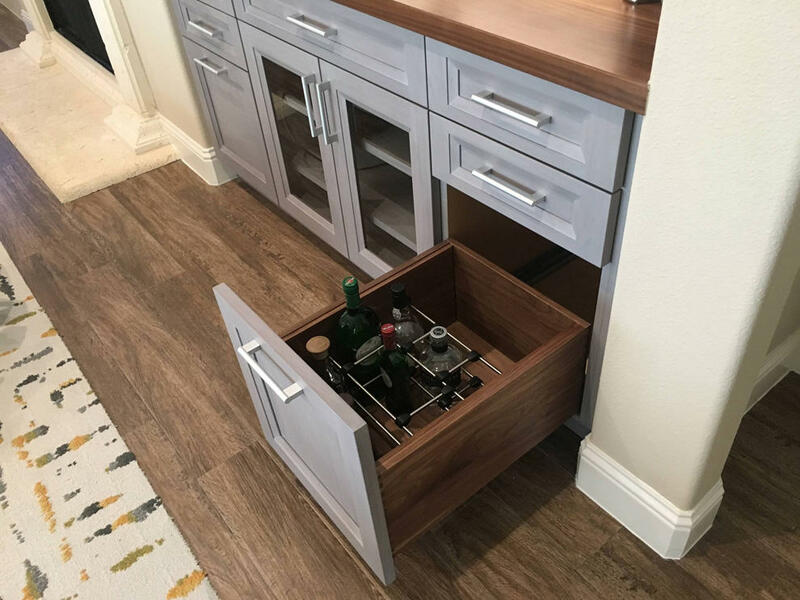 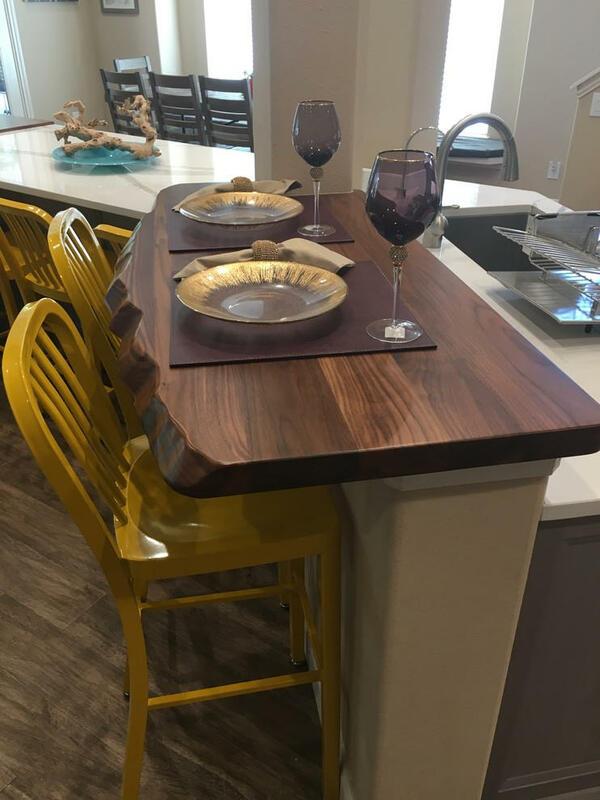 The custom cabinetry, designed by Bay Area Kitchens, was meticulously hand crafted to our exact specifications by Wood-Mode Custom Cabinetry in Kreamer, PA. A medium gray stain was applied to the solid walnut 1″ thick doors and drawer fronts. 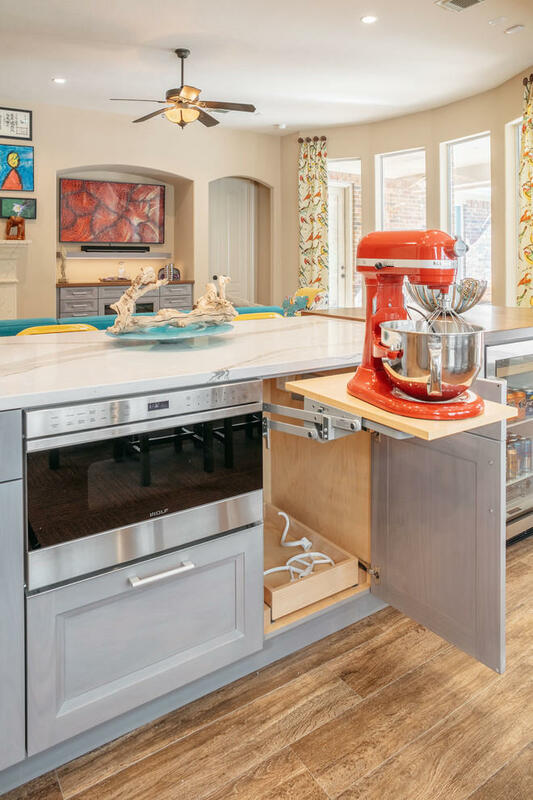 The cabinets were designed and accessorized to maximize storage space and convenient access, including various sizes and depths of drawers, pull-out racks, tray dividers and a heavy-duty mixer base. 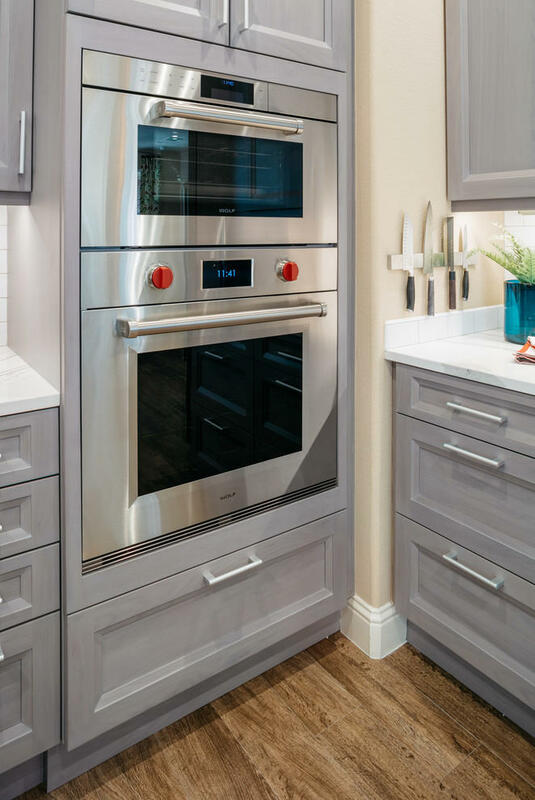 The built-in Sub-Zero refrigerator, combination convection steam oven and single convection oven, 48″ rangetop with six dual burners plus a flat-top griddle, and microwave drawer are the heart of this true gourmet kitchen. 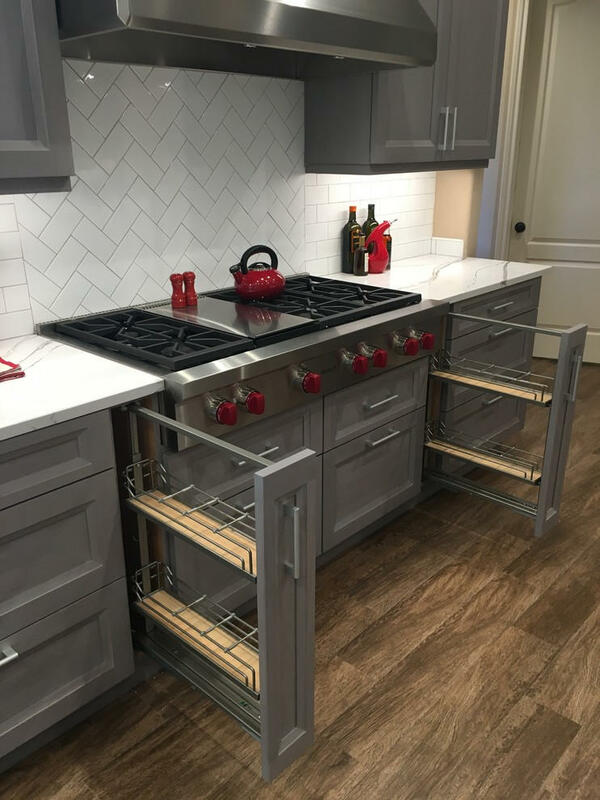 Appropriate appliances are Wi-Fi connected for maximum convenience. 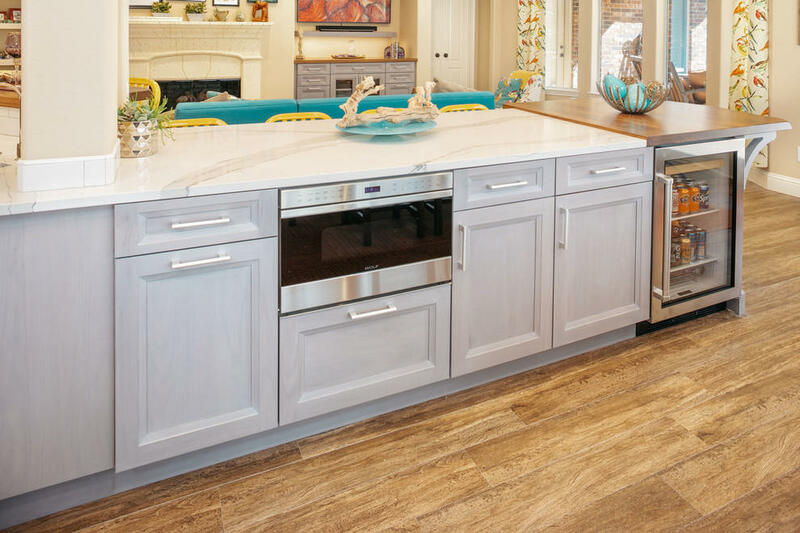 Topping off the custom cabinetry are Cambria quartz countertops, plus two solid walnut countertops with “live” edges. 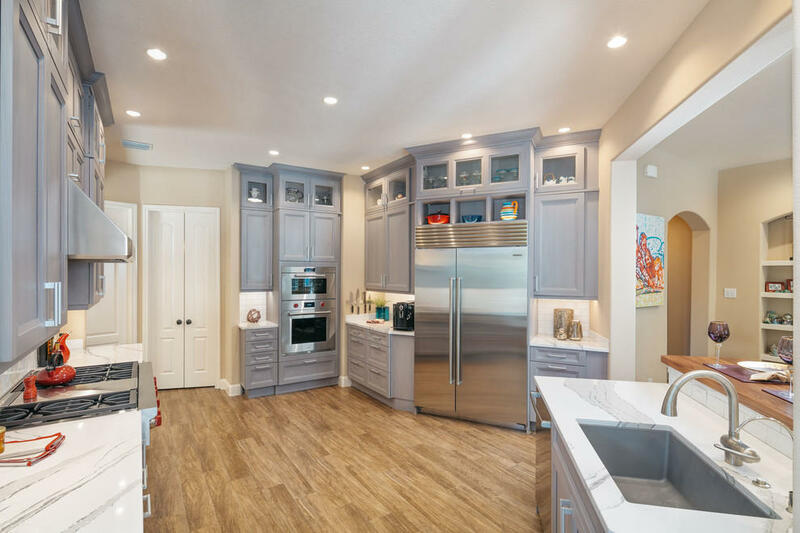 We also installed an automated LED lighting system including cabinet interior lighting, under-cabinet lighting, and LED recessed cans, all controlled by Lutron’s RadioRA wireless lighting control system. 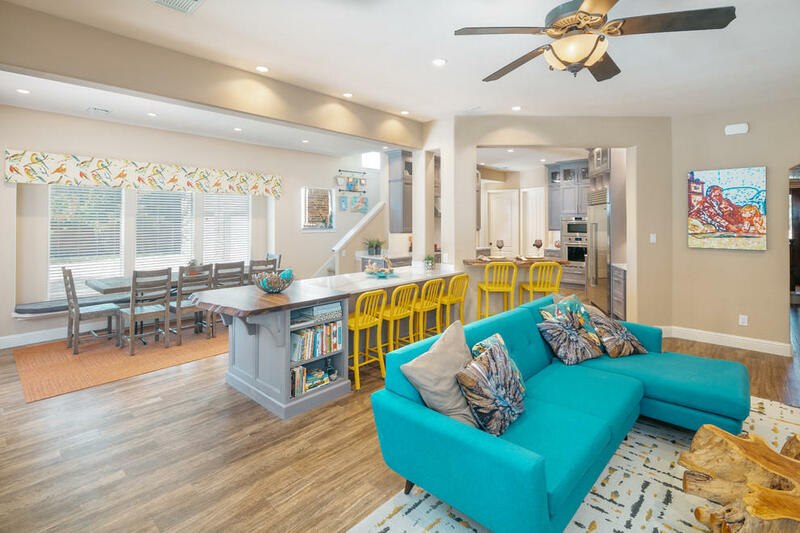 All the lighting can be controlled by any of the five wall panels, or by an iPhone or iPad. 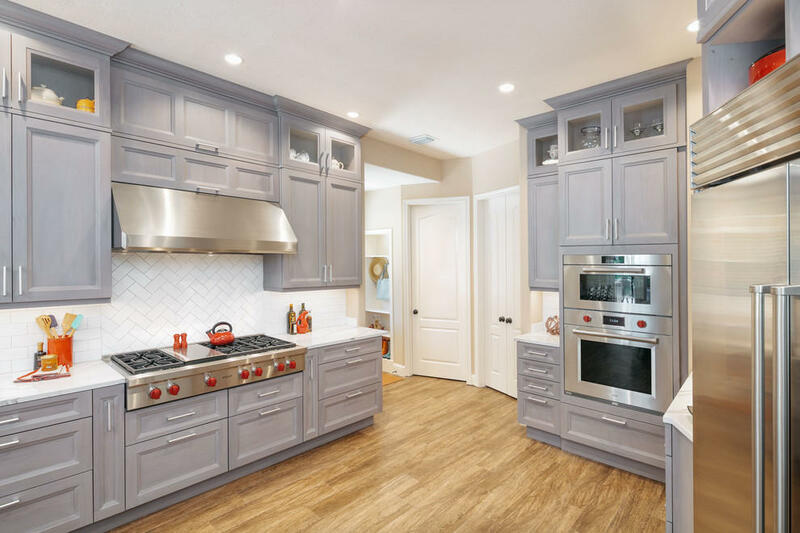 The cabinets are also equipped with an integrated stereo sound system completely concealed within the cabinets.